Once your student completes the admission and registration process, the next step includes paying tuition and fees. Check the Student Central Calendar for information. With few exceptions, we drop students from classes who fail to pay their tuition by the due date. We may apply a drop fee if your student is dropped from a class for non-payment. Visit the Tuition and Fees website for detailed information about deadlines and payment options. Financial aid students who completed their financial aid files by the quarterly deadline. Students using Veterans Educational Benefits. Some International Education students waiting for confirmed funds to arrive. Some students who expect and confirmed funds coming from a third-party agency, such as L & I. Office can confirm a payment deferment for third-party agencies. While very rare, sometimes students end up staying in classes without payment. We do not guarantee that we drop all students who fail to pay tuition and fees. Your student must drop any class or classes they decide not to attend. Help your student understand, that registering for a class takes up a spot in that class, which may prevent other students from registering. 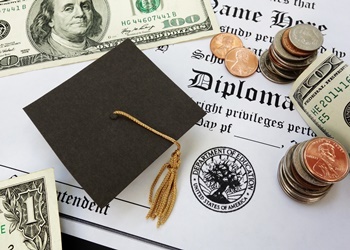 The college bills students for unpaid tuition and fees, even if they never attended class. Eventually the college sends unpaid bills to collections, which may affect your student’s credit. Financial aid pays tuition for awarded students approximately one-week before the quarter begins (on July 1 for summer quarter). We hold students in their classes until financial aid pays their tuition, as long as they met the file complete deadline for the quarter they wish to start taking classes. You need your student’s ID number if you wish to pay the tuition and fees for your student.